Jesus said to only two people that he had seen no greater faith than theirs in all of Israel. They were both NON JEWS! After hearing from Geo Howell, Vic d’Obrenan and Paul Viggers. 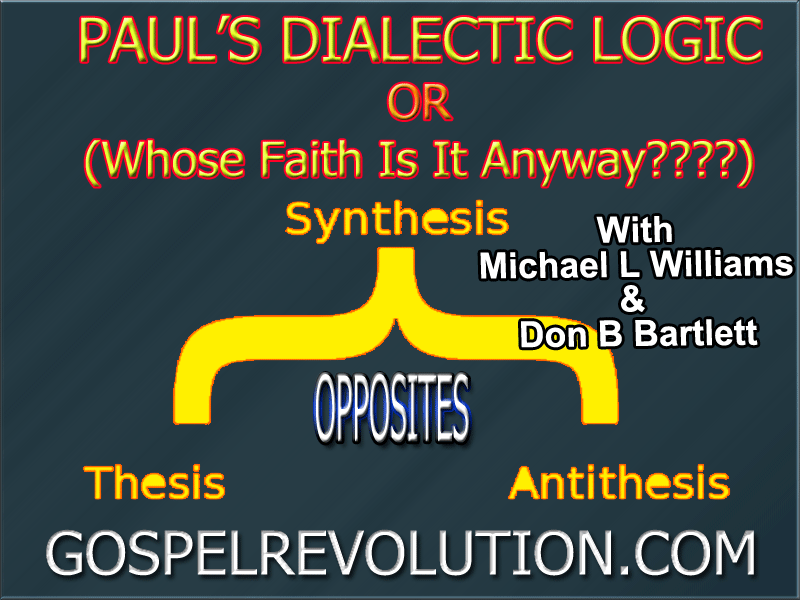 Mike Williams and Don Bartlett explore exactly how Christianity so misunderstood then mangled the clear logic of Paul in Romans 10. Does “confess with your mouth and believe in your heart”, actually mean what Christianity says it does? Another great PowerCast. I like how you differentiated between Redemption and Salvation. Bob Hines in his book referred to them as Redemptive Salvation (all are redeemed), Transformative Salvation(when we realize that we have been redeemed) and Temporary Salvation (being saved from something like being pulled out of the way of an oncoming car or even as simple as catching someone before they fall). I appreciate the Ministry of The Gospel Revolution and the work Mike and Don as well as Jeff and Randy do to help keep The Gospel Revolution going. Good observation Michael. The temporal salvation you mentioned is a bit tricky. After further review of my comments in the book… me thinks (in the context of Paul’s arena) he is narrowly referring to being rescued from the Roman onslaughts toward Jerusalem, future attacks around Masada and other Judaic struggles. I’m thinking that blind chance or fate does not inter the picture in my definition. Thanks,Bob. Was Paul only referring to that specific situation? Would we consider anything to be Temporary Salvation today? Again the Gospel of Grace & Peace has sustained me and continues to do so. My great joy is that Bonnie my Bride of 39 years also understood this Gospel. It gave us GREAT peace together and continues to do the same for me now that she is gone. The Gospel has and continues to SAVE MY SOUL! Love you guys and Lord willing and the creeks don’t rise I will hug you necks in 2018!